Following the concepts illustrated within the previous chapter, an analogy is presented here between the working mechanisms of galvanic cells and biological redox reactions. 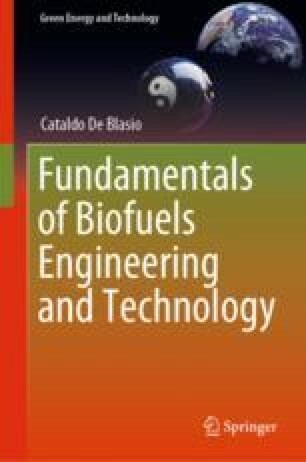 These processes are explained here to underline the working principle of power conversion within biomass generation and to provide students with clear information on the reactions of oxidation and reduction and how they are coupled. The chapter underlines the necessity of interdisciplinary research, above all when the research is focused on renewable energy technology. As a matter of fact, and as was previously written, new trends in this field are related to artificial photosynthesis among others. In this chapter, the working principles of galvanic cells are explained in simple terms with emphasis on the electrochemical potential formation and the overall calculation of the cell potential in terms of half-cell reactions. You know…, they were all things which were born spontaneously. One did what he could do and according to his personal attitudes and the possessed abilities. One was doing one task and another one was doing some other tasks and there was very much friendship among us. And then, there was enormous passion in what we were doing. A suitable description of a successful research group. Freely translated from the words of Emilio Segrè, Nobel Prize in Physics, 1959. National Institute of Standards and Technology. (2018). NIST chemistry webbook. Retrieved October 3, 2018, from https://webbook.nist.gov/chemistry/.